Malala Yousafzai gained world attention at age 15 when she spoke out for girls’ education from her home in Pakistan’s Swat Valley and survived being shot in the head by Taliban militants. Oscar-winning filmmaker Davis Guggenheim (An Inconvenient Truth) gives a close-up portrait of this strong-willed teenager and her family. The title’s “he” refers to her father Ziauddin, who named his daughter for the courageous Pashtun folk hero Malalai. 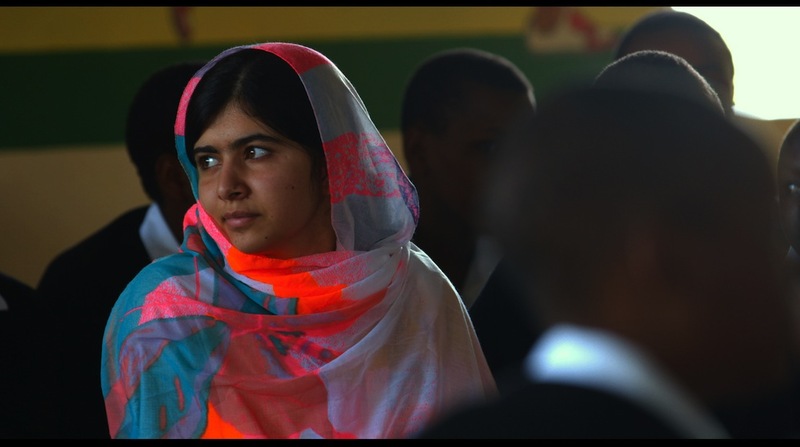 Eloquent and funny, Malala is an inspiration. Courtesy of Fox Searchlight.